The Mountains of Instead: Another Fabulous, not to mention international, give away! Another Fabulous, not to mention international, give away! I recently read the rather excellent Raised By Wolves (review here) and highly recommend it as a great, detailed, refreshing take on the traditional werewolf story. If you haven't already picked up a copy then head over to the Quercus blog where you can now listen to the first chapter - it will certainly whet your appetite for more. 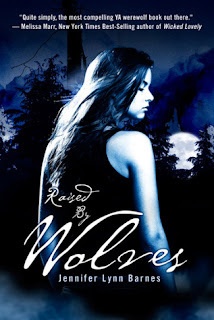 Now with your appetite fully whetted I am delighted to offer, thanks to Quercus, a signed copy of Raised By Wolves to one lucky winner - and yes, you can enter no matter where you live because this give away is international! To enter, just fill in the form below by 14th November and good luck! Thank you for making it International! !